SM Line, the brand new containerline, continues its dramatically fast fleet build up. 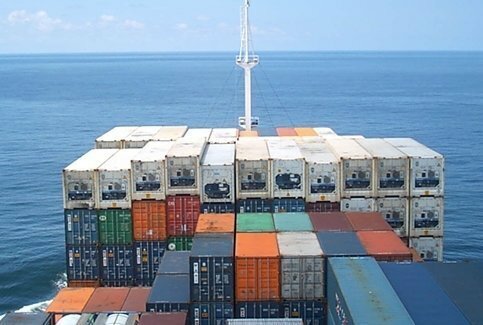 Brokers report the Korean company, an offshoot of construction firm Samra Midas Group, has taken the 2000-built, 1,679 teu boxship Bermudian Express from Germany’s Elbe Shipping for $3.8m. SM Line launched earlier this year and has laid out plans to become a top 20 liner in quick time. It has debuted transpacific and intra-Asia services to date and its fleet is a mix of 6,500 teu ships as well as a series of feeders. It continues to keep brokers busy hunting for more tonnage. Parent firm Samra Midas also owns dry bulk outfit, Korea Line Corp. In other feeder boxship S&P news, Singapore’s Iseaco is being reported as the buyer of the 20-year-old, Taiwanese built Kuo Wei. The 1,295 teu vessel is believed to have fetched $3.3m.